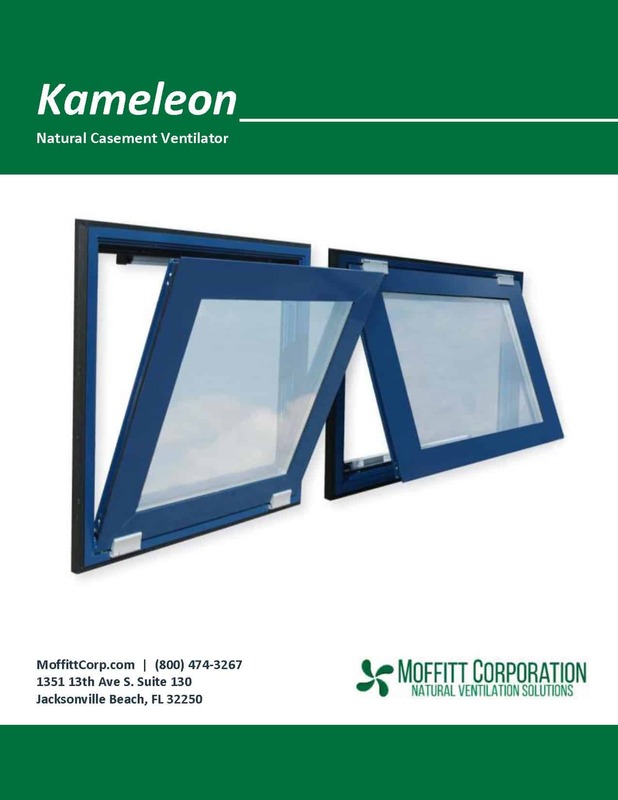 The Moffitt Kameleon is a thermally broken, glazed natural casement ventilator suitable both for day-to-day and smoke ventilation through the façade. Both flap and base frames have thermal breaks. 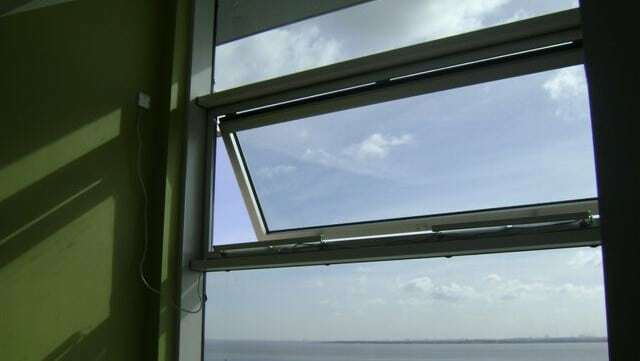 It is particularly suited for installation into glazing systems. Click here To learn more about natural smoke ventilation systems for climate control and passive smoke ventilation. The Kameleon name is a trademark of Colt International Licensing Limited, UK. This product is for vertical, wall mounted installation only.